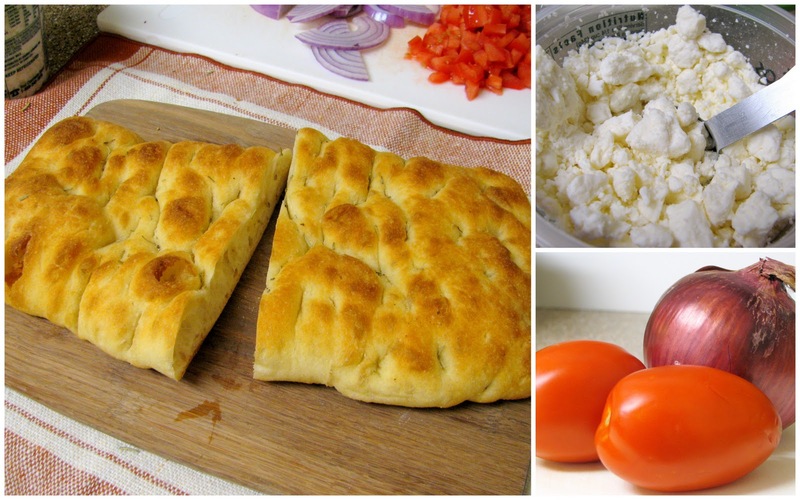 The idea came to me when I came across THIS feta dip recipe, which looked so good! 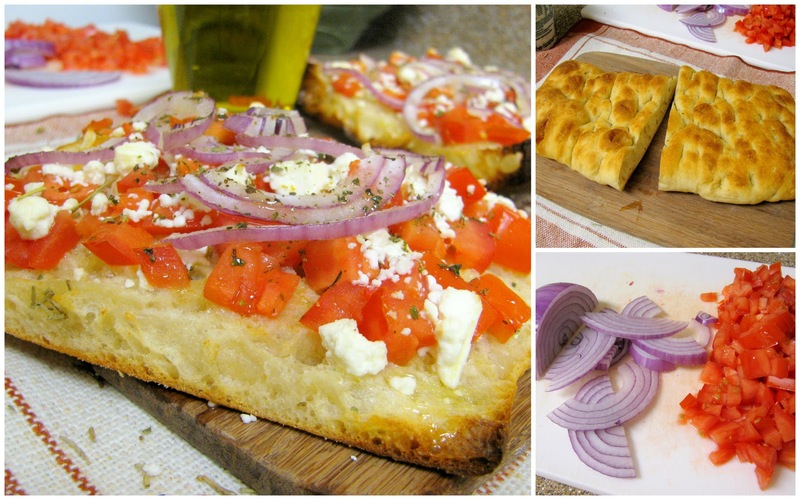 I adapted it for my pizza bread, used red onion instead of green, and oregano instead of Greek seasoning (I can’t seem to find it anywhere, and by anywhere, I mean the one store where I looked for it). The end result was so much better than a store bought pizza, and had me wishing I had made more…in fact, I thought about it all day today and couldn’t wait to get home to make it again! 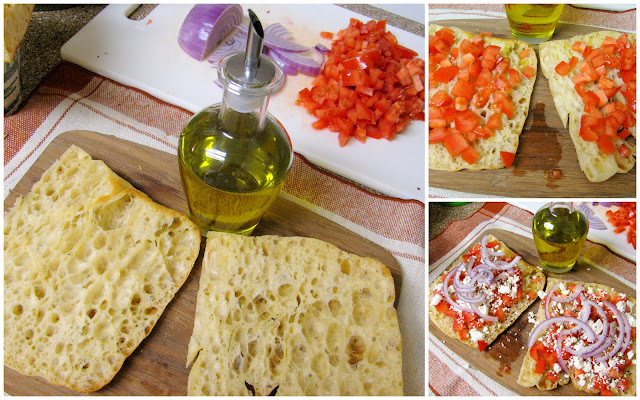 Start by slicing the focaccia bread in half vertically, then again horizontally to make four pieces (see picture if I have made no sense here!). I used this really yummy rosemary focaccia that I get at SaveMart in the bakery department, but an unflavored variety should work just as well. Now all you do is drizzle olive oil over the bread; layer with the tomato, feta, and onion slices to your liking; and top with the crushed oregano and another drizzling of olive oil. (the olive oil works in place of the sauce, so don't be too stingy.) Place in the oven for about 5 min at 450 degrees or until the onions are a little wilty and the bread is browning around the edges. That’s all there is to it! It’s kind of like a mix between pizza and bruschetta, and is very tasty. I hope you enjoy it tremendously! This sounds super yummy and it is easier to make.I absolutely love this recipe and this looks delicious.